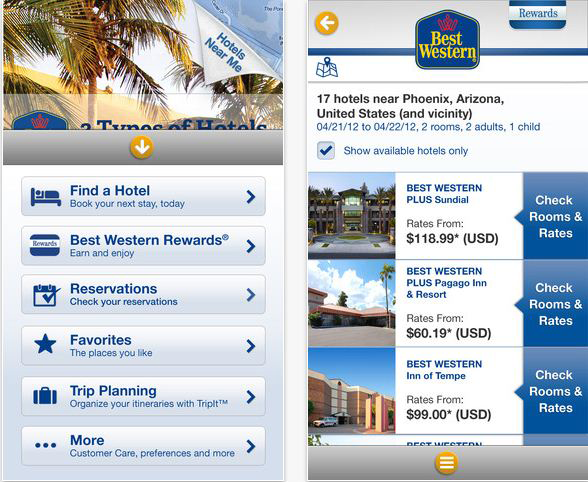 Since 2009, when Best Western last redesigned its mobile app, the number of smartphone users has nearly doubled to more than 1 billion people worldwide. To improve the user experience, support the features available on many of today's mobile devices and engage with customers in new ways, Best Western teamed up with Usablenet to offer a next-generation mobile experience. Consumers will also benefit from deeper partner integrations with TripIt, TripAdvisor and Bing, as well as new elite recognition to Best Western Rewards members and mobile access to account information. “While other brands are devaluing loyalty, Best Western continues to invest more in our loyalty program through promotions, generous benefits and competitive elite tiers," said Dorothy Dowling, senior vice president of sales and marketing. "The Best Western Rewards app enhancements are a further investment into improving the experience for our loyal members." Furthermore, the app is designed to reinforce the value of being a Best Western Rewards member and bring compelling context to the user experience through social integration and next-gen functionality, according to Usablenet CMO Carin van Vuuren. The newly designed application is currently available for download in both the Apple and Google app stores.